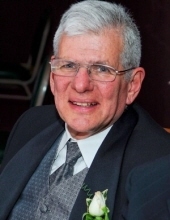 David Gary Arkovich, age 72, of Ames, passed away on January 24, 2019 at Bethany Life in Story City. Born on May 1, 1946 in Sioux City, David was the son of Meyer and Mary (Hanin) Arkovich. He graduated from Central High School in Sioux City (1964) and went on to earn a bachelor’s degree in Sociology from the University of Iowa where he managed the Men’s basketball team. He was a member of the United States Army (1968 – 1972) and served in Vietnam from 1970-1971 in the Second Civil Affairs Company as a Captain, during which time he was awarded the Bronze Star Medal for meritorious achievement. David was united in marriage to Ellen Friedman on June 22, 1975 in Des Moines, Iowa. He proudly served as a police officer for 25 and a half years (Iowa City 1974 – 1978 and City of Ames 1982 – 2003), enjoyed teaching Criminal Justice classes (Southwestern Community College, Creston Iowa 1978 – 1982 and Des Moines Area Community College, Boone, Iowa), and following his first retirement from the police force, joined the Iowa State University Police as the parking supervisor until his final retirement in 2010. David also enjoyed his time helping out at his parent’s butcher shop, Cohen’s, as a child (Sioux City, Iowa) and had great pride and joy in operating Arkovich Real Estate, alongside his wife and children, managing and maintaining residential real estate property (1977 – 2014). David was an active member of the Ames Jewish Congregation and served on many religious, service and historical society organizations in the Greater Ames and Des Moines area. David was a caring, patient and kind man who enjoyed traveling around the country visiting family, historical and military museums and supporting his kids’ athletic and professional endeavors. He was an enthusiastic Ames High, University of Iowa, Iowa State University and Missouri State University athletics fan and supporter. He always enjoyed cheering on an underdog! David is survived by his wife, Ellen of Ames; his children: Michael (Crystal) Arkovich of Ames, Elisa (Sean) Buck of Ankeny, and Stacey (James) Dillon of Columbus, OH; six grandchildren: Cooper and Austin Arkovich, Madisyn and Alanna Buck, and Khloe and Carson Dillon; and one brother, Marv (Corky) Arkovich of Tampa, FL. He was preceded in death by his parents. Funeral service will be held at 10:30am on Monday, January 28 at Ames Jewish Congregation. Burial will be in the Ames Municipal Cemetery. Funeral arrangements are under the direction of the Adams Funeral Home and online condolences may be left for David’s family at www.adamssoderstrum.com. In lieu of flowers, donations may be made in David’s honor to Ames Jewish Congregation, Iowa Jewish Historical Society or the Ames Police Benefit Association. To send flowers or a remembrance gift to the family of David Gary Arkovich, please visit our Tribute Store.